One of the most emotional stories to come out of 9/11 isn't about the horrific act of the 9/11 terrorists. Instead, it is a young boy's search for understanding and learning to live in the wake of his father's tragic death in the twin towers on that horrible, horrible day. 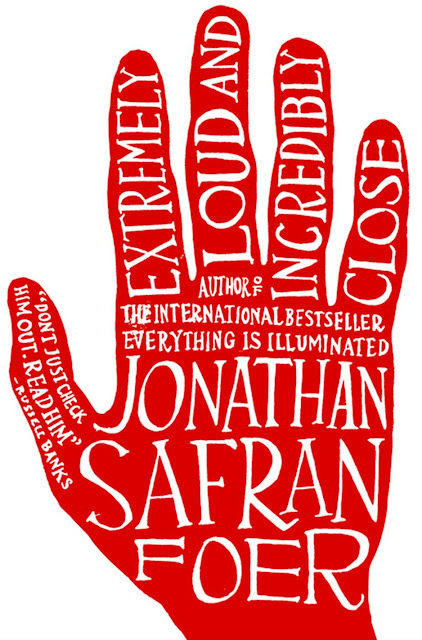 Jonathan Safran Foer's book, Extremely Loud and Incredibly Close chronicled one family's pain through the eyes of a child; I shed more tears than I can count reading it. In the words of Jonathan Safran Foer, "You cannot protect yourself from sadness without protecting yourself from happiness." 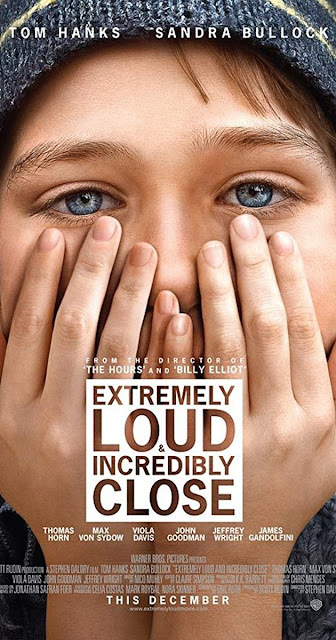 The Oscar-nominated film, directed by Stephen Daldry and starring Tom Hanks, Sandra Bullock, Thomas Horn (the son) and Max Von Sydow, while not quite living up to the book, and criticized for milking the emotion to the nth degree, is still very much worth watching. Above, the route from book cover to movie poster to movie tie-in book cover. I love the words on the boy's fingers. Genius. I enjoyed the book but was deterred from the movie by the criticism. I love the cover design with the writing on the fingers too. I never read the book but did see the movie - I found the heartbreak of the little boy coupled with all the loss on that terrible day almost too much to bear. I do like that quote from the author - it provides an important perspective. 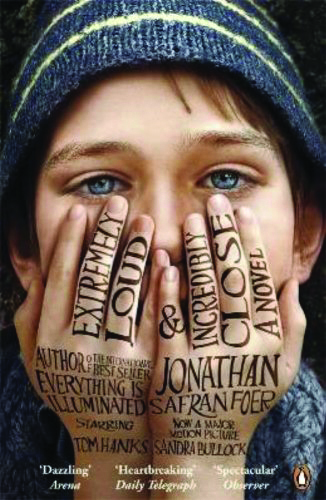 Thanks for stopping by Booksnyc; it was definitely a very difficult book, emotionally, to read. I do think the quote sums it all up.